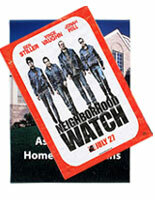 Customers can easily see these illuminated posters as they are walking past retail stores at night. 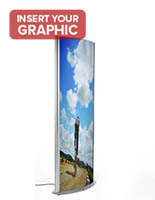 The fluorescent light box is a staple of the advertisement and retail display industry. This assortment of illuminated displays are each designed to work with a specific type of bulb: Either T5, T8, or 58W tubes. 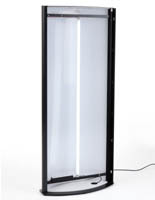 This window enhancement, fluorescent light box is a must have for the boutique shop or theater owner. Whether looking to enhance your exterior or promote the latest movie, this advertisement lighting is the key to success. 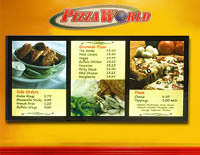 Each fluorescent light box features an easy open frame option to make replacing the signage a quick and efficient task. Not only is signage easy to replace, so are the lighting tubes. Simply open the fluorescent light box, remove the used bulbs, and replace with new ones. It is even easier than replacing the bulbs of a ceiling lighting fixture because the unit is wall-mounted. This fluorescent light box was designed with ease of use in mind. These frames with T5 tubes are available with snap-open, swing-open or magnetic frame options. The fluorescent light box that has a magnetic frame comes with suction cups to make removing the magnetic panel a simple process. Why buy a fluorescent light box from this website, instead of a competitor's? Variety. With more than three different types of products shown above, you are sure to find one that will suit your needs. One-stop shopping. Beyond illuminated displays, we stock 1000s of unique items to choose from. Businesses can outfit an entire retail floor with displays from this site. Low prices. As one of America’s leading display retailers, Displays2go offers overstock pricing that simply cannot be matched. Quick delivery. Most items are available to ship same-day from our warehouse located in Fall River, MA. The result is fast shipping. The promotional lighting found in this selection are available in a variety of designs. The floorstanding fixtures are called totems and come with a silver or black frame. 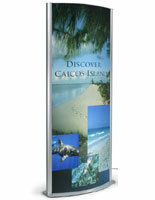 These illuminated poster displays are commonly seen in malls and car dealerships. These freestanding units can stand up to 72” tall and will draw customers’ attention. The wall-mounted frames are available with black or satin silver finish frames. These traditional signage displays either snap open or swing open to change tubes and signage and do not require the unit to be taken off the wall. Many of the products in this selection are rated for outdoor use. Check the product description for details. Weatherproof boxes allow you to advertise your products anywhere, in any type of climate, day or night. An edgelit technology illuminates your graphics from the side, while a diffusion pattern in the frame prevents hot spots and shadows. All you see is bright backlighting that is uniquely designed to be slightly brighter in the center of your graphics. To make sure there is a product for everyone, we sell these advertising tools in various different sizes. Poster lightboxes, LED Frames, and other illuminated sign displays are great for a wide variety of indoor and outdoor promotional applications. If fluorescent lightboxes do not fit your needs, we also provide a more extensive selection of illuminated displays & lightbox panels that vary in size, finish, and bulb type. In addition to sign displays, Displays2go also offers a large assortment of retail, trade show and point of purchase display products that you can browse at the main shopping category page.